As a multi-instrumentalist, Mark has enjoyed playing a variety of musical styles in his career of 30 years. His slow, soulful harmonica dances in the blue fabric of his articulated-fingerpicking style on the acoustic guitar. As a bassist, Mark was afforded the opportunity to play and learn from some of Kansas City’s finest elder statesmen and women of jazz and blues music. He recorded two releases on the Enneagram Label – Town Topic in 2009, and Easyville ~American Stories in 2011. 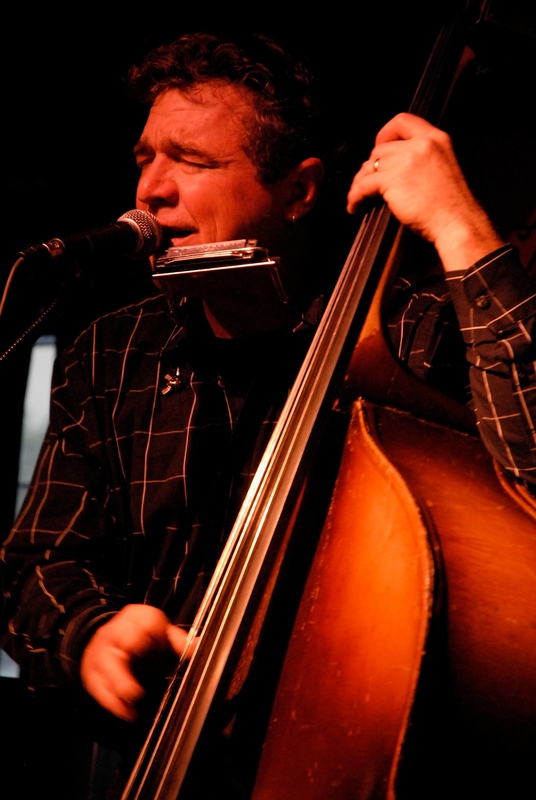 Shortly after the release of Town Topic, Mark teamed up with guitarist Max Berry to represent the Kansas City Blues Society in the International Blues Competition in Memphis in 2009, and 2010 as duo/solo finalists. In 2016, with an all-star studio lineup, Mark’s latest work - Difficult Man was released on Love Honey Records and is available to listen and download on bandcamp: mark montgomery music. In January 2019, Mark returns to Memphis with more of his own music representing Kansas City as solo finalist in the IBC. He continues to tour, work bees, and play regular venues in the Kansas City area.